Internet Safety: Ensure internet safety and online privacy with Le VPN. 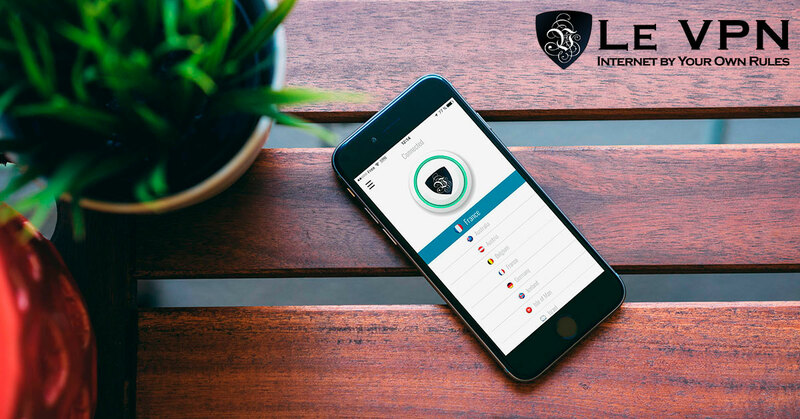 Ensure internet safety and online privacy with Le VPN. Mobile and internet are inseparable in today’s life. We are too dependent on the technology for almost everything. Similarly, our kids too are becoming technology driven. Kids are using the internet for entertainment, learning, as well as education purpose. The question is if the World Wide Web is informative, or if the privacy of the individual is at stake. Cybercrime refers to fraud and theft that involves computer and the virtual world. The fraud and theft may include misuse of individuals’ personal data, cheating with ones’ bank details, or the ongoing ransomware frauds. The complaints regarding cybercrimes are increasing in numbers day by day. And the common man has less knowledge on how to deal with the same. Internet safety is the need of the hour. To work on that, the government of different countries is taking possible steps. However, internet users should also take some precautionary steps to avoid such frauds and thefts. And responding to this need, BBC Children has launched a major new website called Own It. The website aims at educating children about internet safety. The website will target kids in the age group of 9-12 years. Own It aims at sharing the internet safety tips though insight, stories, as well as advice. The website will concentrate on the tips to maintain online privacy and avoiding malware. Your child will also get the know-how on the ways to deal with everyday dilemmas. BBC‘s Own IT channel is a great step towards child’s online safety. How To Ensure Internet Safety With A VPN? It is very essential to maintain internet safety for yourself. To achieve this, the idea of a VPN service comes in handy. But to ensure proper internet safety, it is important to use the best service provider for the VPN. Le VPN is one of the leading service providers in the market. It is very easy and affordable way to secure your system, data, as well as IoT devices at your home. With Le VPN’s highly secure servers, it is impossible for the third party to interfere with your connection. Hence, no one can misuse your data or identify you. Le VPN assures 100% online security. There are a lot of VPN service providers that offer its customers with a free service. Falling for such discounts is a great mistake. Though such VPN providers promise security, you may endanger your privacy. The companies offering free VPN service may sell your private data to a third party for financial gains. However, Le VPN ensures your online privacy. Le VPN uses the AES-256 encryption algorithm. This is the only algorithm that is listed by the National Institute of Standards and Technology (NIST) for securing the classified data. How Is Anonymous Browsing Possible With Le VPN? Le VPN allows you to stay anonymous while browsing the internet. E.g., you can use VPN France to access the French content in the blocked region. That means if you are in the USA and want to watch your favorite sports telecast, which is not available at your location, you can use VPN France and unblock the content of your choice. That too anonymously. In such a situation, you use Le VPN’s server with French IP address. And your original IP remains secret. With so many benefits at an affordable cost, Le VPN is among the popular VPN service providers. So, subscribe to Le VPN, and ensure your internet safety.